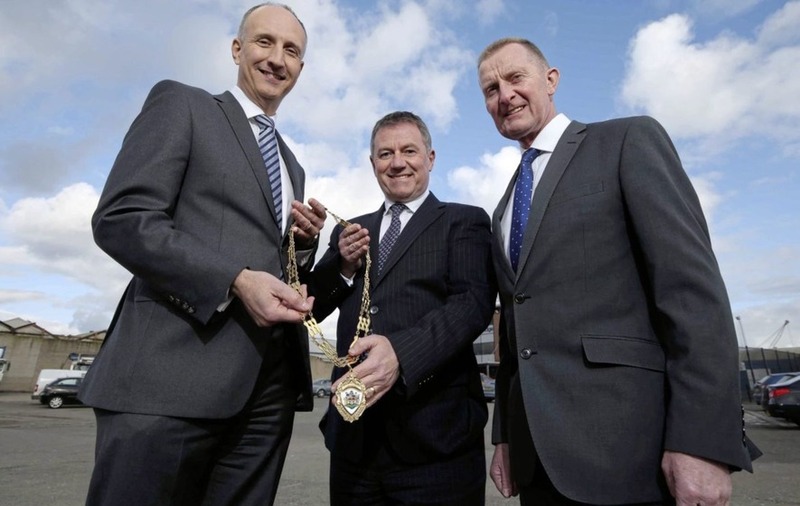 TRANSLINK's deputy chief executive Gordon Milligan has succeeded banker Ian Sheppard as chairman of the Institute of Directors in Northern Ireland, and says he plans to put member engagement at the top of his agenda. He said: “The IoD exists for the benefit of our members, of which there are more than 950 drawn from all sectors across Northern Ireland. "As such, it is of paramount importance to engage with those members as we aim to be their voice and represent their views and interests on a wider stage. “That is why I am delighted to accept the chain of office at the premises of construction firm Henry Brothers, in what I hope will be the first of many visits to companies across Northern Ireland during my time as chairman." He added: "It is an exciting time to be involved with the IoD as the organisation expands under our national director Kirsty McManus. "This year has already seen the appointment of four new staff as we expand our professional development offering with the launch of the IoD Academy in Northern Ireland. Gordon joined Translink in 2009 and has a background that includes holding executive roles at some of Northern Ireland's best-known firms such as Bombardier Aerospace, Nortel Networks and Dunbia. As an active member of the IoD, Gordon has held positions on the organisation's Northern Ireland Committee as well as chairing the Professional Development committee. He thanked outgoing chairman Ian Sheppard for his achievements over the past two years, adding: “Ian has played an incredibly important role in guiding IoD members through a very uncertain political and economic landscape. “Throughout most of his term we have been without a fully functioning Northern Ireland Executive, and just weeks after he took up the post, the UK voted to leave the European Union.